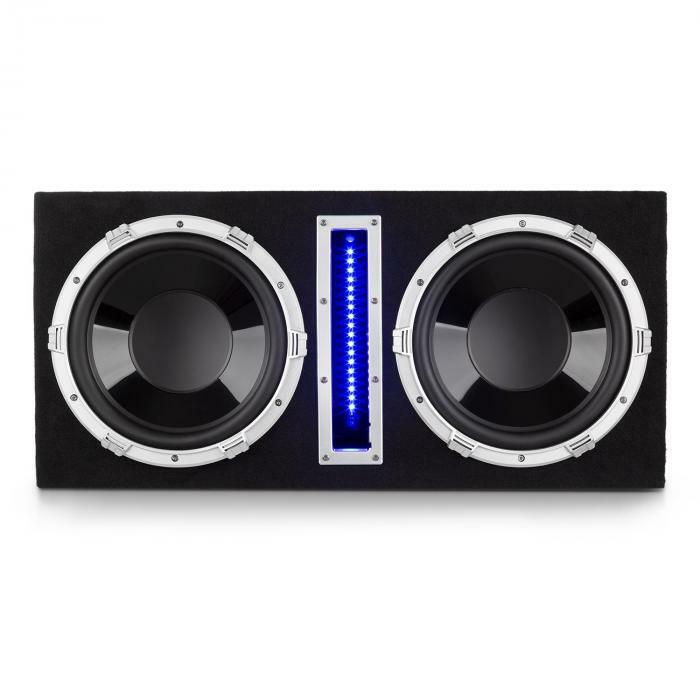 Powerful bass: the auna Basswaver X12L is an active car subwoofer with powerful performance and an imposing appearance. 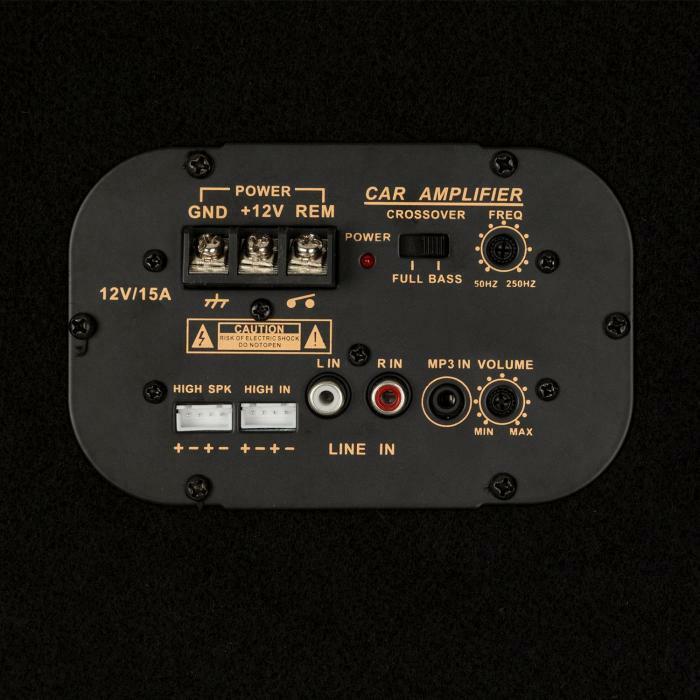 Sound adaptation: in addition to all the power reserves, the amplifier offers an adjustable low-pass filter as well as a switchable cut-off frequency for optimum sound adaptation according to personal preferences. 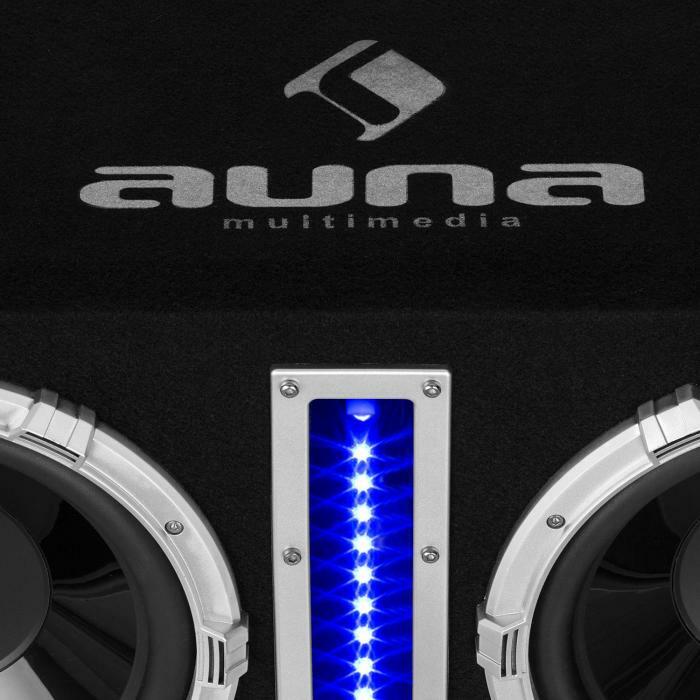 The auna Basswaver X12L is an active car subwoofer with powerful performance and an impressive appearance. 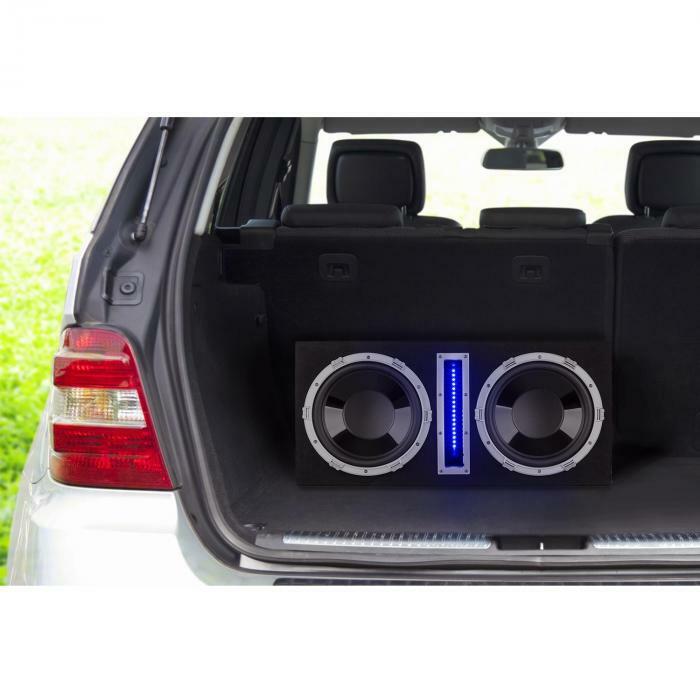 Two 30cm (12") woofers provide plenty of sound pressure to the interior and surrounding areas, which is further enhanced by the bass reflex construction and low-resonance construction, so the car HiFi subwoofer can easily generate a maximum output of 1200 watts (2x 300 watts RMS). 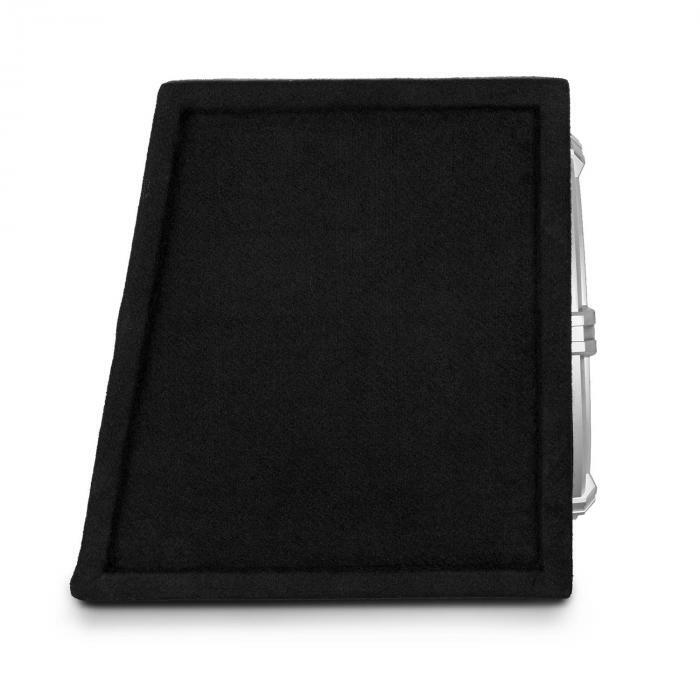 The built-in amplifier offers an adjustable low-pass filter and a switchable crossover frequency, in addition to its large amount of power reserves, for optimal sound adaptation according to technical specifications and personal preferences. In addition to the central sound characteristics, the auna Basswaver X12L Active Sub boasts an atmospheric blue LED effect lighting, which makes the subwoofer shine in a new light and thus purposefully emphasises its clear appearance. 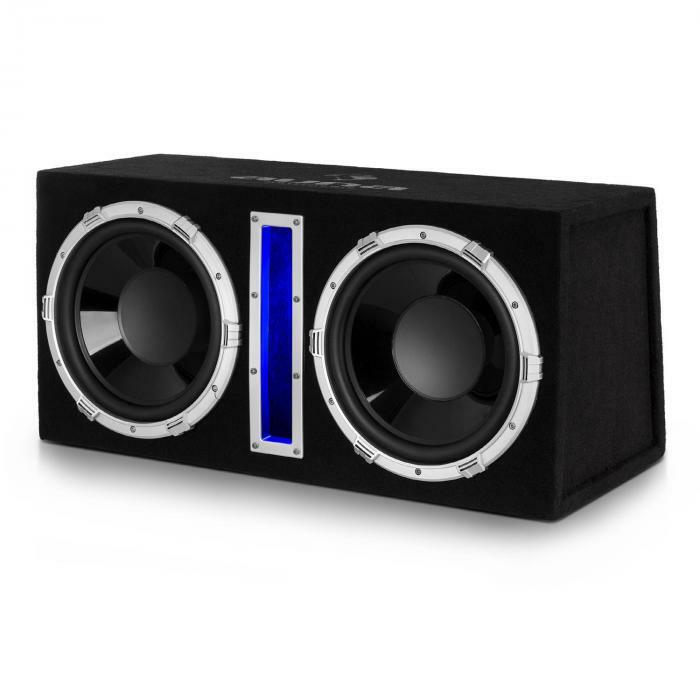 LED light effect: in addition to the central sound characteristics, the auna Basswaver X12L Active Sub boasts an atmospheric blue LED effect lighting, which makes the subwoofer shine. 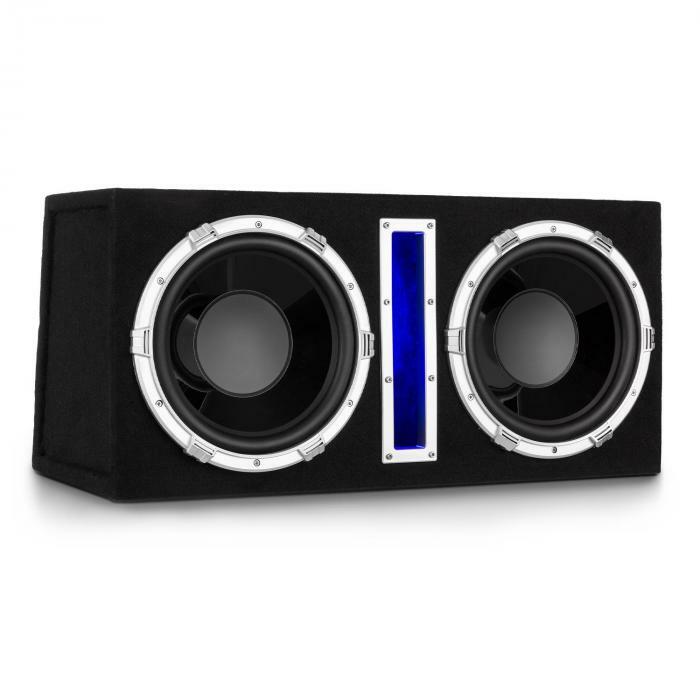 Enormous performance: two 30cm (12") woofers add rich sound pressure to the interior and surrounding areas, boosted by low-profile bass response and low-resonance construction, so the car HiFi subwoofer can easily deliver up to 1200 watts of power. 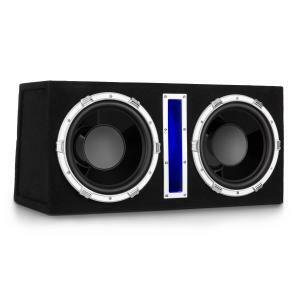 MP3 input: a real special feature is the rear 3.5mm jack MP3 input for direct music playback from external audio devices such as MP3 players, smartphones or tablets.